Summer Celebrations, YIMBYtown, and more! Our September E-News is Here! 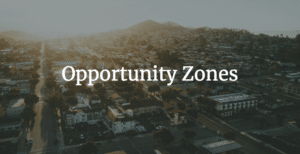 Last year’s Tax Cuts and Jobs Act introduced a new provision for Opportunity Zones, which encourages investors to put money into development projects in needy communities by providing significant tax breaks. In her latest op-ed, Susan discusses the potential of the unprecedented program to benefit areas with the greatest needs. 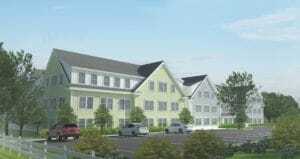 B’nai B’rith Housing’s Phase 2 of its Coolidge at Sudbury development was one of the 19 recipients of the 2018 annual affordable rental housing funding awards, announced on July 25. Exciting Sudbury Update, Summer Celebration, Meet the Service Staff, and more! Our July E-News is Here! 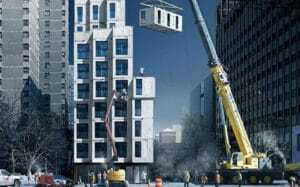 In her latest op-ed, Susan highlights innovation in modular construction and its potential to be part of the solution to creating the housing that we so desperately need.